I have visited this shop at PDX a couple of times. The only thing of use is the Hair of the Dog and Ninkasi bottles. 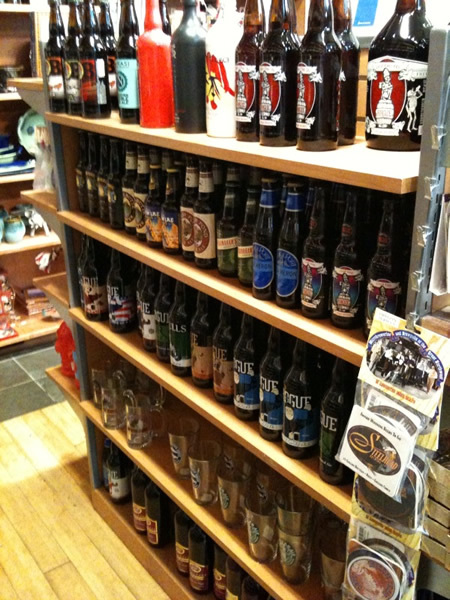 The Rogue and Deschutes products are available pretty wide and far. The rest I wouldn’t waste the carry on space. Laurelwood had only the Freerange Red in bottles last time I flew out of the airport. I wish they would carry a bigger selection. I do recall spending almost $2/12oz bottle to bring some Hair of the Dog back to Phoenix from the Made in Oregon store on the ‘clean’ side of security. It was definitely worth it!